The Bulldogs are heavily favored in this one. 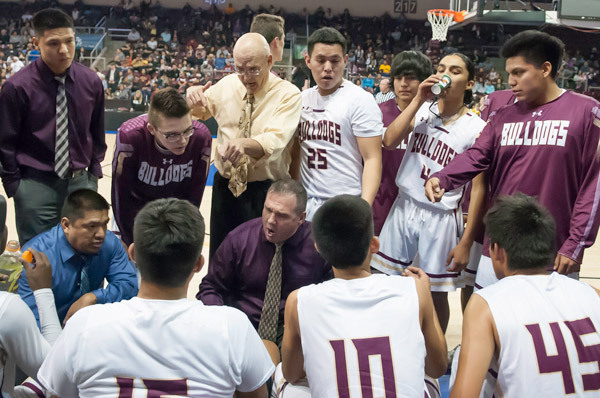 The last time these two teams met they held the Cougars to just 18 points and scored 52 in the lopsided affair, but the Bulldogs know they can’t overlook the Cougars. The Cougars are 3rd in the region with a 3-2 region record and know that upsetting the #1 team in the East would be massive. The Lady Bulldogs are ranked 6th in the State and are the biggest target in 3A East Basketball this Year. The Cougars had a pretty good start to the season, but have dropped 4 out of their last 6 games. Despite the recent skid they are only Two games out of first place in the East Region. The Bulldogs are ranked 6th in 3A but, find themselves in 2nd place in the region standings with a 3-1 record because they haven’t yet played as many region games as first place Blue Ridge (4-1). The Bulldogs only region loss this year was to Show Low (51-49). Both teams are hungry for a win tonight in this pivotal 3A East Match up.